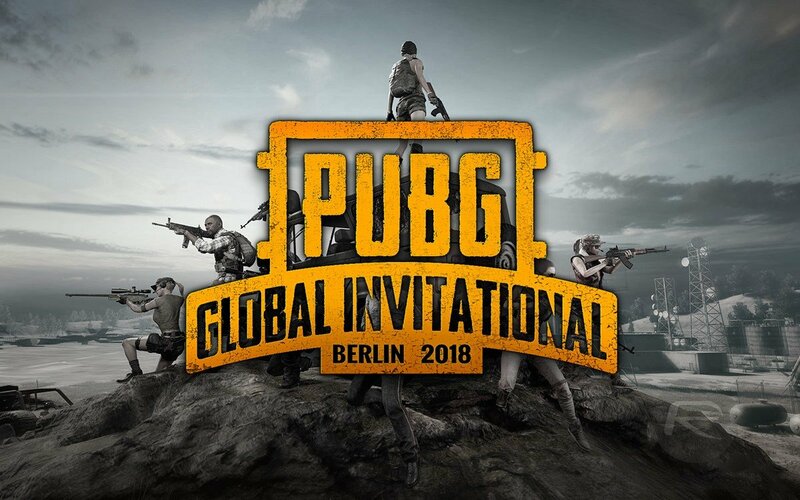 Links to the 2018 PUBG Global Invitational live stream and the complete stream schedule. Today marks the official start of the PUBG Global Invitational, and fans have quickly begun searching up where they can watch the Invitational live stream and what the complete schedule is. The 2018 PUBG Global Invitational will run from July 25 until Sunday, July 29. During the event, 20 of the world’s top PUBG teams will compete against one another at the Mercedes Benz Arena in Berlin, Germany over a $2 million prize pool. The PUBG competitors include professional teams from North America, Europe, China, Korea, CIS, North Africa, Oceania, South America, Japan, Chinese Taipei, and the Middle East. Competing teams this year include Team Liquid, Ghost Gaming, Natus Vincere, and Crest Gaming, among others. To find out which teams come out on top, read on to find out where you can watch the 2018 PUBG Global Invitational. You can watch the 2018 PUBG Global Invitational on the official PUBG Twitch channel. Each match in the PUBG Global Invitational will be streamed from the official PUBG Twitch channel with the first match going live Wednesday, July 25 at 11:30 a.m. (EST). You can also watch the Invitational from the official PUBG YouTube channel. Tournament gameplay will include third and first-person perspectives, and will be set on both the Miramar and Erangel maps. During the competition, teams will play a total of eight matches using each camera perspective, and the team with the highest point total at the end will be named the winner. Wednesday and Thursday’s matches focus on competition in the third-person perspective, while Saturday and Sunday see players competing in the first-person perspective. Note that there will be a total of four matches per day, with Wednesday including opening ceremonies, and Thursday and Sunday featuring awards ceremonies. 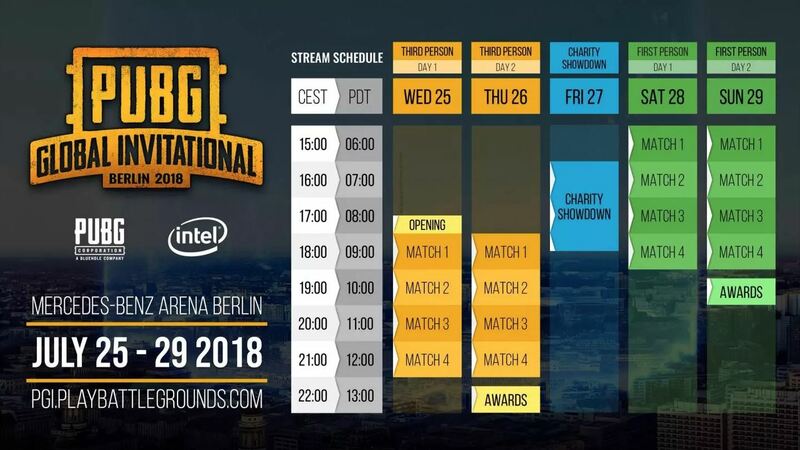 Below, you can review the full match schedule for the 2018 PUBG Global Invitational. The 2018 PUBG Global Invitational will run from Wednesday, July 25 until Sunday, July 29. Again, the 2018 PUBG Global Invitational will run from Wednesday, July 25 until Sunday, July 29. You can watch all of the action over on the official PUBG Twitch stream. In the comments below, let us know which teams you’re rooting for this year and what perspective (first or third) you prefer watching. By reading through this guide, you should now know where to watch the 2018 PUBG Global Invitational and what the schedule is for the 2018 PUBG Global Invitational.